Add some Jesuit interest and competition to your basketball season this year by following the Jesuit Basketball Spotlight. Administered by the Association of Jesuit Colleges and Universities (AJCU), the Spotlight's website has video, a seasonal poster of matchups, Players of the Week, news, etc. 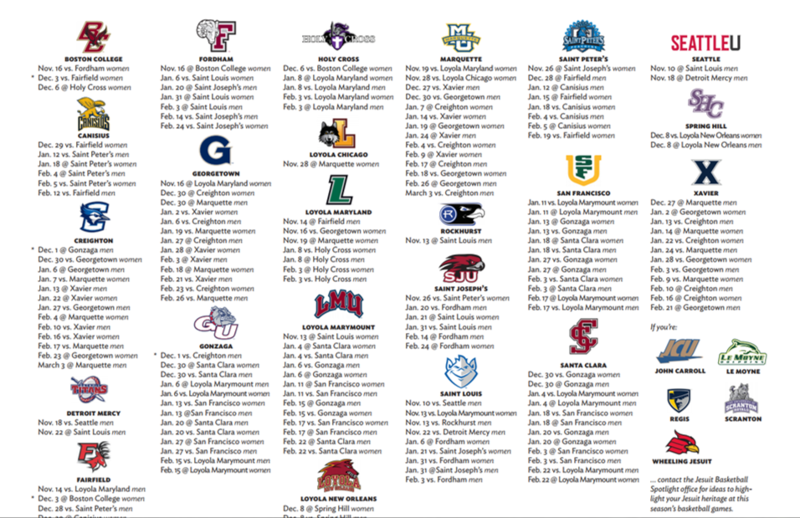 to keep you in the know about all things basketball across the 28 U.S. Jesuit schools. You can also stay connected via social media or sign up to get news delivered to your email!